Hold delay knob and tap button for 3 seconds to enter and exit. Turn encoder to select parameter. Push encoder to change. Push encoder again to return to parameter list. System Reset: To recall factory defaults, power up while holding down REVERSE button. The display will show [ ini ] . CLK Out is active after TAP is pressed. The TAP function generates the CLK Out BPM rate. If CLK IN is present its value is passed to CLK OUT. TAP function is ignored when CLK In and/or CV DELAY are active. The CV DELAY input overrides CLK In. 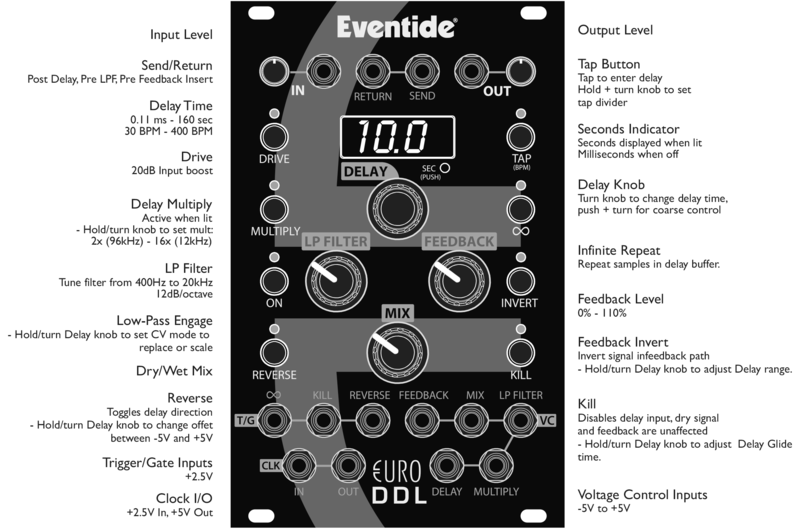 The EuroDDL is a direct link from the origins of digital delay to the undreamed of the future! 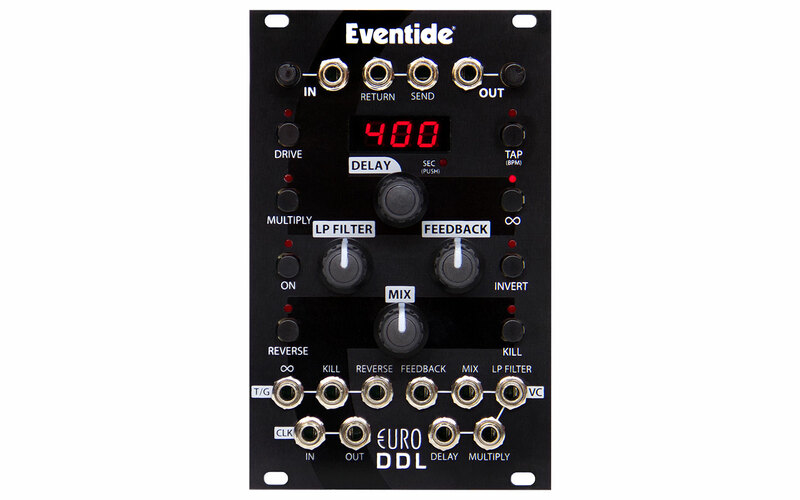 The combination of onboard controls, built-in filter and openness to CV modulation makes EuroDDL capable of creating quite adventurous sounds, and it's a great Eurorack partner to bring delay to your system.